Another Revolution Day painting. This one of 2 young boys sporting two different styles of moustaches popular at the time of the Revolution in 1910. Could they possibly be descendents of guerrilla leaders Pancho Villa and Emiliano Zapata. 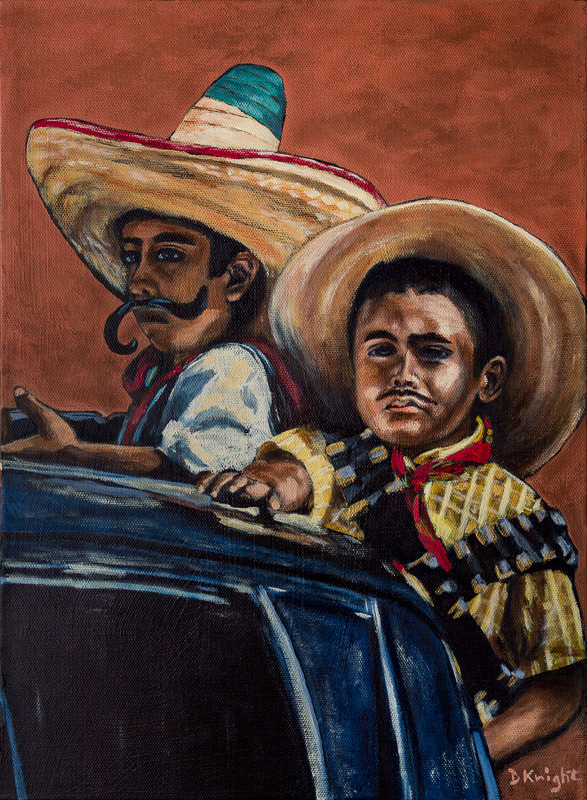 Pancho Villa appeared to have the smaller moustache so I can only assume he is the hero of the young boy on the right. Diane I was married to your cousin Bruce…We fell in love with Mexico about 17 years ago and he always talked about going to see you some day…Love your art and I know he would have also.